On Thursday, the Detroit RiverFront Conservancy presented its annual Shimmer Award to Matt Cullen, chairman of the conservancy, and his wife, Karen Cullen, at the eighth annual Shimmer on the River. During the celebration, Rivard Plaza was renamed Cullen Plaza in honor of the Cullens’ grants of $4 million to the conservancy. The grants will support the conservancy’s efforts to revitalize and redevelop 5.5 miles of riverfront in Detroit, stretching just east of the MacArthur Bridge at Belle Isle to the Ambassador Bridge. The Shimmer Award is presented annually during the Shimmer on the River to an individual who has been critical in the success of the conservancy and who demonstrates extraordinary commitment to the revitalization of the Detroit Riverfront. Past awardees include David K. Page, Faye Alexander Nelson, John and Marlene Boll, Peter Karmanos, Senator Carl Levin, and others. Matt Cullen was the founding chairman of the conservancy and has been a driving force behind the transformation of Detroit’s riverfront since 2003. When he started as chairman, he was a General Motors executive. Today, he is CEO of JACK Entertainment and a principal of Rock Ventures, both in Detroit. He is involved in numerous community organizations. The continued success of the revitalization depends on the support of donors. The conservancy is the permanent steward of the RiverWalk and the Dequindre Cut, responsible for raising the funds needed for construction, operation, maintenance, security, and programming of the public spaces located along the riverfront. 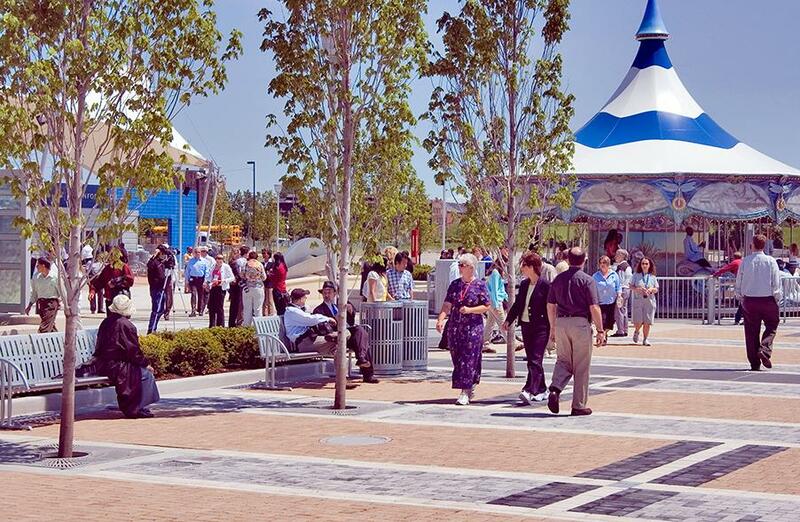 The Cullen Plaza, which is located at 1340 Atwater Street along the east riverfront, was the first of three RiverWalk plazas to open. Since then, it has become a popular destination in Detroit with a café, sand box, playscape, glass map of the St. Lawrence Seaway, reflecting water features, and colorful landscaping. The Diamond Jack boat tours and Wheelhouse Detroit also operate from Cullen Plaza, and the plaza is also home to the Cullen Family Carousel, which opened more than a decade ago. The eighth annual Shimmer on the River brought together more than 900 guests. Speakers included U.S. Senator Carl Levin; Roger Penske, founder and chairman of The Penske Corporation; Terry Rhadigan, executive director of General Motors’ product and technology communications; Mariam Noland, president of the Community Foundation for Southeast Michigan; and Faye Alexander Nelson, the founding president and CEO of the Detroit RiverFront Conservancy.